A short walk from Paignton is Preston Sands, a great family beach. On this safe, clean beach you can sunbathe, swim or make castles in the sand, or why not grab a fishing net and explore the rock pools at low tide? In amongst the seaweed you’ll find sea slugs, shrimps and periwinkles. 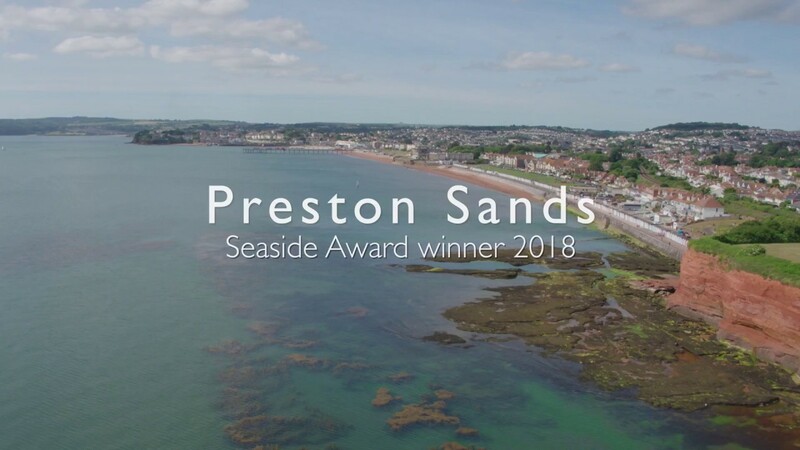 This is also a great place to go for a swim, as Preston Sands has both Sea side Award. Along the back of the beach there’s a promenade lined with colourful beach huts. This is an iconic image of the English Riviera, and you can hire one for the day, sit back and watch the world go by. If you fancy a game of footie, Preston Green is close by. You’ll also find The Boathouse where you can buy a spot of lunch. Access: The area is quite flat and has excellent access for disabled people and wheelchairs. A beach wheel chair is available. Preston is the nearest town and Preston sands is services by a main road and a local bus service, the most frequent one being the No. 12. The nearest car park is Colin Road with blue badge park spaces (normal charges apply) and there is some on street parking available. Preston has a good bus link with the No. 12 bus being the most frequent.